A lot goes into photographing a wedding. As one of the most important days in any person’s life, it is essential to nail a wedding session the first time around. There are no do-overs, and a bad end product can be potentially disastrous for future client relations. What can a wedding photographer do ahead of time to cover their tracks and ensure that they’ve got a hold on all of a shoot’s necessities? By building a wedding photography checklist, of course! As it turns out, there are responsibilities that a wedding photographer has to handle before, during, and after attending an assigned ceremony. We’ve arranged each task in a roughly chronological order, providing a clear idea of what needs to be accomplished when. 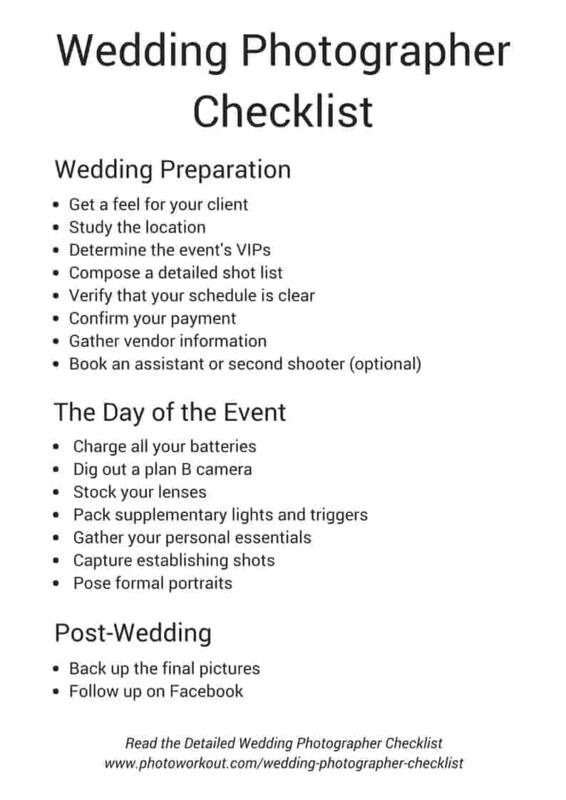 Summary of the Wedding Photographer Checklist | Download the PDF for Printout here. Get a feel for your client. Go over names, hobbies, likes and dislikes, etc. Some might brush this off as small talk. However, making your client feel important and engaged can take you a long way in building a long-term working relationship. Find out what they are looking for in a photographer. Were they referred to you, or did they seek you out on their own? How do your styles align? Review important details on your role as a wedding photographer. Do they have any specific shot ideas that they’d like to bring to life? Any conditions to consider before signing on? Of course, you and your client may not always be able to sync schedules to meet in person. Have no fear – many photographers offer potential clients an in-depth virtual questionnaire right away that goes over all of these points and determines compatibility between parties. Especially when starting out and lacking extensive shooting experience, it’s important to think carefully about how you’ll be tackling the environment you’re assigned to. If possible, it’s good practice to scout out a designated location before venturing out on assignment. This way, you can make a note of optimal vantage points without cutting into the allotted event hours. Prioritize the areas that yield the best photographs. Aside from the physical space, your event will be taking up, take into consideration factors such as weather and time when planning a shoot. The forecast may dictate whether your couple portraits happen at a flourishing garden or inside the lobby of a hotel. The difference between a reception starting at 4 pm or 7 pm can determine whether you’ll have to drag along a series of speedlights or be able to get away with solely utilizing natural daylight. Aside from the bride and groom, every event has a handful of important guests that you’ll want to photograph extensively. Some common culprits include the best man, the mother of the bride, the adorable flower girl, or a group of childhood friends from across the country. However, without information on the names, attributes, and relations to these particular individuals, they may fall between the cracks and not receive the coverage your client would like. Draft up a detailed list of the people you’ll need to keep an eye on and bring it with you on location. If your party’s VIPs are few and far between, asking about the individuals can be beneficial. Inquiring about the people that mean most to your client demonstrates attention to detail and does wonders for building a good rapport. Compose a detailed shot list. For beginners, a detailed shot list can be a lifesaver. Consider what images you MUST complete to pull off a perfect session. Take time to physically write down a description of the pictures that you want to take during each part of the day (before the start of the event, during the ceremony, at the reception, etc.). If you refrain from doing so, it’s easy to lose track of moments and risk missing an image that might be treasured for a lifetime. Also, be sure to specify as much as you can regarding the images you’re after. Include factors such as the depth of field or focal length that you’d like to employ in the shoot. Verify that your schedule is clear. Before committing to anything, make sure that the event does not conflict with any existing events on your schedule. Do NOT plan anything for the entirety of the day in which you plan to work an event. Even if you’re hired only to cover a few hours, one of the worst things a wedding photographer can do is double book and create an unnecessary time crunch. Between time spent traveling to and from a location, gear set up and clean up, and the hours that go into actually working the event, “short” gigs can easily morph into a full day’s work. Only make a commitment if you’re one hundred percent certain of your availability. As a working artist, it’s important that you do everything in your power to avoid being short-changed. Draft a formal contract once you’ve cemented a date and time. Before signing on to anything, ask questions to be certain that your client has a clear vision of what you can deliver and a realistic set of expectations. Being on the same page as a prospective client and having an open line of communication is a sure-fire way of avoiding future conflict. When squaring things away, have clients pay a deposit fee ahead of time to insure yourself against possible cancellations or potential mishaps. When providing cost estimates, be sure to include the time you expect to spend editing as well as delivery fees for prints or digital files alongside the charges that come with photographing the actual event. The bride and groom are likely not the only individuals interested in the images that you’re making. Take time to note the other contributors that will be working toward making the event happen. Practically, it’s worth delving into venue policies to see if there are any shooting restrictions you’ll face on location. However, the primary purpose of collecting vendor information is to build professional connections. Ask for the names of caterers, bakers, designers, performers – they stand something to gain from a fantastic shot proudly displaying their product. Don’t shrug off shots of your surroundings or the food that your guests will feast on, because the companies churning out those materials may turn into an additional client (if you play your cards right). Book an assistant or second shooter (optional). On some occasions, one person on the scene simply isn’t going to be enough to cover everything that needs to be included at a wedding or similar ceremony. Having a second set of hands at your disposal can make a serious difference in covering more ground in a shorter amount of time. When seeking out potential help, try to stick to sources with a reputable portfolio and a history of successful collaborative work. Ask for references and research before bringing someone on assignment with you. The truth of the matter is, whatever it is that they capture is going to reflect on your ability as a photographer. If you have a trusted peer in the industry to go to, ask if they’d be willing to take on some of your responsibilities when you’re dealing with crowded, hectic affairs. One of the single most important things that you can do to avoid a disaster is charging up ahead of time. Prepare a few fresh batteries the night before, allowing more than enough time to restore spares to full capacity. As a photographer, you want to do whatever you can to avoid an evening of suffering alongside a dying camera. Investing in a battery grip can ensure that you don’t run low on power at an inopportune moment. Likewise, you should delete and format some SD or CF cards to keep as backup in a secure pocket or case. There is nothing more mortifying than having to cut a session short because you’ve prematurely reached your card’s full capacity. Dig out a plan B camera. It never hurts to play something as important as a client’s wedding safe. When working with any paying client, having a backup on hand is an absolute must. Any serious professional photographer would not be caught on assignment without a substitute at the ready. A second camera certainly doesn’t have to be top of the line – most people opt for used models that have already seen quite a bit of use. What’s more important when it comes to having a backup is usability if something unfortunate happens to your main body. The sad reality is, you’re bound to face a technical malfunction at some point in your career. Taking precaution is the best course of action a person can take to guarantee that a broken piece of equipment doesn’t equate in utter calamity. 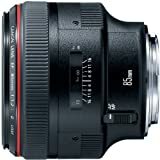 A prime portrait lens like the Canon EF 85mm f/1.2. Nailing flattering portraits of the bride and groom is a must for any wedding photographer, and a low depth of field paired with a longer focal length will ensure that your focus never strays far from the subject. 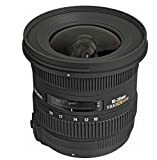 Telephoto zooms along the lines of the Nikkor 55-300mm f/4.5-5.6. You’ll want to capture some of the most important moments of the ceremony without being intrusive or obnoxious. 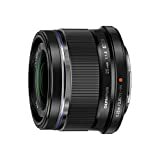 Prime or zoom wide angle lenses such as the Sigma 10-20mm f/3.5 or the Olympus 25mm f/1.8. Capturing a sense of the environment and area is just as important as capturing the action and goings on of the day. No matter what lenses you choose to include in your arsenal, you’ll likely want to opt for fast models with wide open apertures. Pack supplementary lights and triggers. Most locations have less than perfect lighting to work with. For this exact reason, tools like high powered strobe monolights and a set of radio triggers can be a wedding photographer’s best friend. With the proper tools on hand, it’s possible to bring in a flattering flash of light coming from any direction with the touch of the camera’s shutter. To make the most out of your supplemental lighting, be sure to invest in something that’s easy to pack and transport like the Neewer 600W Photo Studio Lighting Kit. You may also want to invest in a few foldable light stands as well! Although weddings are meant to celebrate the undying love between two people, you certainly shouldn’t neglect taking care of yourself while shooting a wedding. Be sure to check up on details and relevant information such as designated meals and break times during the event. Wedding photography isn’t just about capturing fleeting moments of guest’s laughter or witnessing a phenomenal kiss on camera. Skilled photographers take the time to cultivate the mood of an event through specific details and environmental shots. Photographing friends, family, and goings on is all very important. However, this doesn’t mean that the small things should be neglected. Snag shots of food, decorations, sprawling landscapes. Even a close up of a bow tie or brooch can make for a stellar shot in the right context. For a bride or groom, a wedding day can pass by in the blink of an eye. In the moment, it can be easy to overlook the details – memorializing them in a photograph can be incredibly meaningful. In large group settings, making a decent portrait can be one of the most difficult undertakings a photographer can face. Unfortunately, the group portrait is a must have for any wedding ceremony. As much as you might like to, it’s impossible to avoid. In the midsts of drinking and excitement, clients can be less than patient when it comes to posing. Therefore, it’s advantageous for both parties to work through the process as quickly and smoothly as possible. The key to pulling such a feat off? Be firm and demand attention. Be as specific as you possibly can when directing participants how to pose, because chances are they aren’t used to spending time in front of the camera. Remain friendly and do what you can to garner natural smiles for the best results possible. This step cannot be stressed enough. As soon as you leave the scene, the backup of digital files to computer or external hard drive should begin. You may even want to consider bringing a laptop with you on location to start the backup as soon as possible. You may be wondering what the rush is. Frankly, there isn’t one. However, you do NOT want to risk potentially losing hours of paid work to a corrupt card or unexpected formatting error. If you’ve ever had a computer or camera crash, you understand just how painful the loss of image files can potentially be. Immediately transferring your images ultimately minimizes the amount of time your work goes unprotected. A wedding photographer’s job does not end when the last guests make their way home. Hours of polishing in post processing software are necessary to perfect any session. Once the party has cleared out, you’ll want to keep your client’s enthusiasm up. The easiest way of doing is to create the appearance that work is moving smoothly. You may want to consider posting a “sneak peek” post on one or more of your social media platforms. While it doesn’t necessarily have to be taking place on Facebook, a thoughtful blog post or carefully curated set of watermarked JPEGs can give friends, family, and the couple an idea of what they can expect from their finished project. This Wedding Photographer’s Checklist should cover the most important things to do and keep in mind before, during and after the wedding photoshoot. If we missed out any important things, please do leave a comment in the below comments section.